Rebreathing Bag Black is also known as Reservoir Bag. 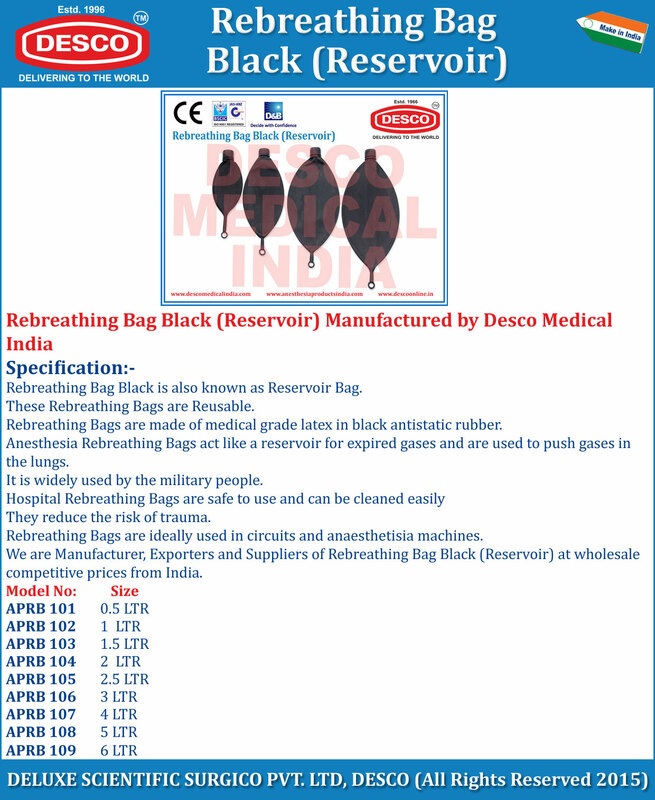 Rebreathing Bags are made of medical grade latex in black antistatic rubber. We are Manufacturer, Exporters and Suppliers of Rebreathing Bag Black (Reservoir) at wholesale competitive prices from India.